Intelligent Retail is an established company that loves to innovate. Whilst we started as a family business, over the years we have grown and are proud of the team that now make up the company, the original ethics still remain. Don&apso;t just take our word for it! See what our customers say by reading some testimonials.  We created an award winning multichannel system that we hope retailers will find really useful. It was built around how independent multichannel retailers work, with every step considered from a multichannel viewpoint. This is what makes us different. We take a lot of pride over the quality of our products and have invested greatly in people, processes and systems to keep quality really high. This underpins the real success of the company. The company has developed a proven ability and skill in delivering ground breaking architecture with complementary services delivered via friendly staff. Intelligent Retail&apos;s unique software proposition, Connect, is a multichannel business system, which can be driven from one stock structure, allowing the retailer to sell through multiple channels including over the counter built-in till and eCommerce. To date, the major retail multiples are the only companies to have had access to this kind of technology, although the development and provision of the multichannel till system and its software now presents retailers with 1-50 stores, much greater opportunities to compete. Intelligent Retail has its origins in 2002, when the development of the system was initiated by Neil Mackley and Claire Crouch. Neil Mackley (Technical Director) has spent his entire career as an IT developer and software architect, working in the City with financial institutions as well as companies such as Shell and Logica. Neil&apos;s experience in designing the architecture of efficient database and web-based systems has been largely responsible for creating what is widely regarded as one of the leading multichannel systems on the market today. Claire Crouch (Lead Trainer and Business Analyst) has a background in retail as her family owned several retail businesses. Claire has worked in retail large and small through her career, including implementing the SAP system into Harrods in the role of Business Analyst. Claire has been fundamental in driving the requirements for Connect from its inception. David Mackley (Managing Director) similarly has a background in IT from his early career onwards, making the progression into senior commercial roles in several PLC organisations, with a strong emphasis on marketing. David attained a First Class Honours in his BSc in Computing and a Distinction in his MBA, shortly after which he and Neil formed Intelligent Retail. Having started development of Connect in 2002 then incorporated the business as Intelligent Retail Limited in 2004, the Connect system was launched the following year at the NEC in Birmingham to significant acclaim. Over the ensuing years, the company has grown and developed the spread of its offering to hundreds of retailers in the UK. The beauty of the EPoS Multi Channel system is that it&apso;s a fantastic way of doing business and really helps to keep costs down. I don&apso;t know how I ran my business before, without Connect! Your software is great and all of your staff! Connect is an integrated till system that gives you complete control of your whole business; web and shop in one. What makes it so unique is that it&apso;s so easy!